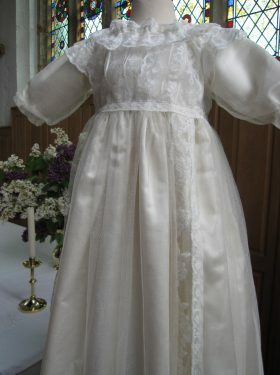 Typical of the Edwardian era, the gown has a short yoke with a high neckline. 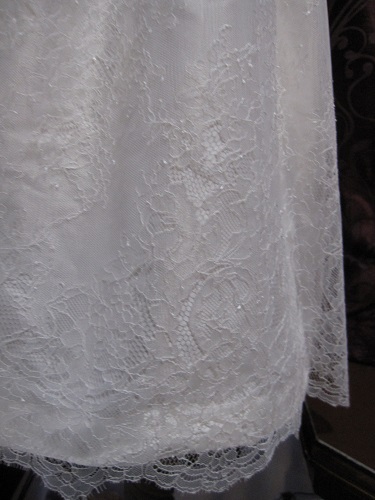 3/4 length sleeves are attached to the shoulders with tiny pleats, the edges are decorated with small silk cuffs. 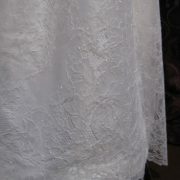 A long skirt is softly gathered into the yoke band. 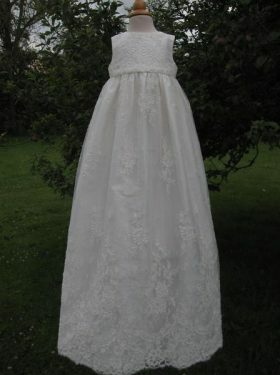 The gown is tied at the back with two satin ribbon ties. 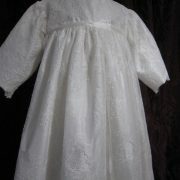 A perfect gown for the most special of occasions. 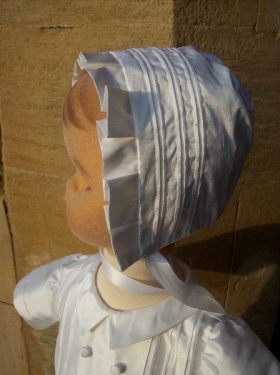 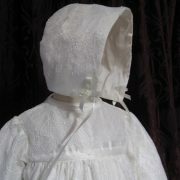 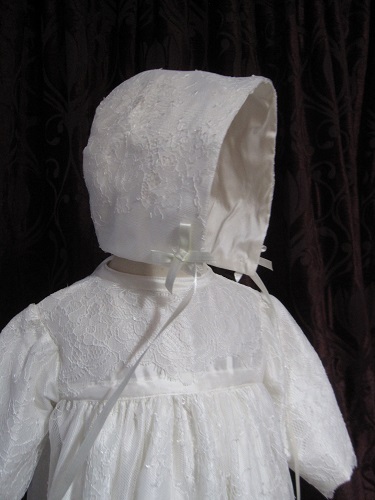 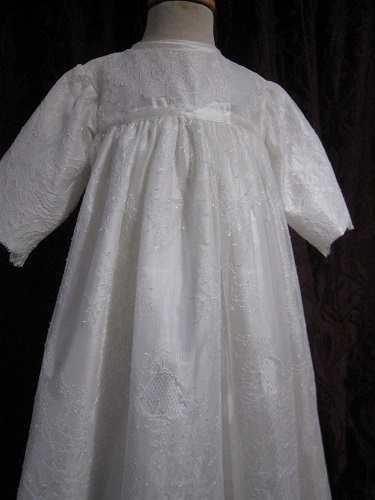 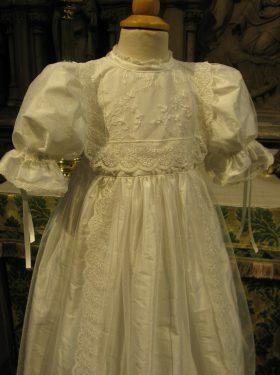 Matching booties, bonnets and bibs are also available for the Katherine Christening Gown.